Binaural sound technology is nothing new. The technique of binaural recording, which creates the sensation of 3D sound for those listening through headphones, has been around in one form or another since the end of the 19th century, when it was used in the transmission of theatre and opera performances over telephone lines. What’s more novel, however, is its use in theatre. The technology was not put to use in Rosenberg’s theatre-making, however, until he and sound designers Ben and Max Ringham started creating experimental scratch performances with theatre company Shunt, of which Rosenberg is a co-founder. “Ben and I and David developed that interest together,” Max Ringham tells me, recalling their early experiments at the Shunt Lounge under London Bridge station in the mid-2000s. 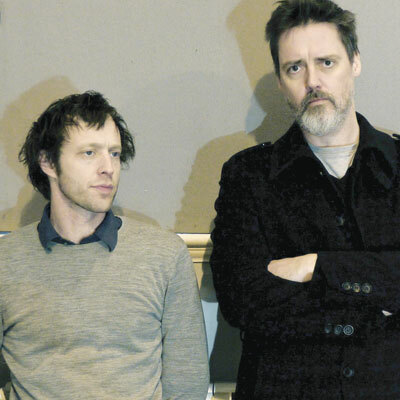 “First of all, we were working with an illegal radio transmitter and we would set up impromptu illegal radio stations to send audio out to people.” From these illegitimate beginnings, the trio gradually refined their use of the technology, eventually putting it to full use in the 2007 show Contains Violence at the Lyric Hammersmith. 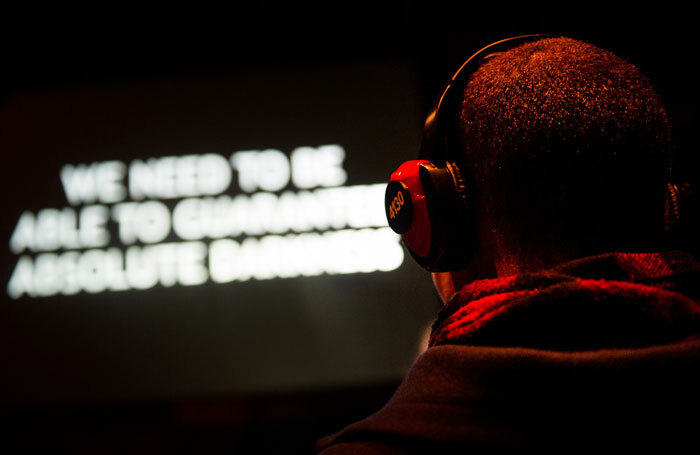 In Contains Violence and subsequent shows Electric Hotel and Motorshow, Rosenberg explains that the use of binaural sound was “about trying somehow to bridge the visual gap between the audience and what they were watching”. In each piece, audience members were positioned as onlookers, with the sound pumped through their headphones immersing them in distant spaces, be those hotel rooms or car interiors. This explains why, for their latest experiments with binaural sound in Ring and Fiction, Rosenberg and his collaborators have plunged audiences into darkness. So what makes this technology so exciting for theatre-makers? “The main thing is a question of intimacy,” says Rosenberg. “With all live events we’re trying to create some sort of intimate relationship between the audience and what they’re seeing. How do you keep that intimacy when you have increasingly large audiences?” Binaural sound, which can create the sensation of a performer whispering directly into each and every audience member’s ear, is one answer. This sensation of immersion is central to Fiction, the team’s second show using binaural sound and complete darkness. This time, the show puts audiences in two places at once: the room of the theatre, and the dream world that the sound transports them to. “The principal difference is that we’re taking the audience to a lot of different locations and there’s been quite a lot of discussion about how we actually record that,” says Ringham.